Accurate time has been a fascination of mine for a long time. When I was about 10, I got a shortwave radio and could monitor the signals from CHU in Canada. This was a very accurate time broadcast. There was (and still is) a tick in the background and a voice that announced the minutes as they passed. I set my Timex wrist watch to it, and then told some at school that this was the exact time, because it was set to an atomic clock. Now I have a clock synchronized to an atomic clock, and it was only $20 at Kohls. 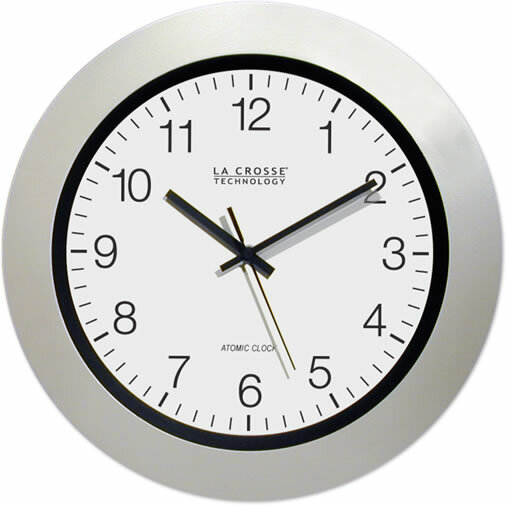 This particular clock is sold by La Crosse Technology Ltd. The amount of technology behind this simple clock is amazing, but because we are surrounded by so much advanced technology most of it has lost the ability to impress. The basis for the accuracy of this clock is the broadcast from WWVB in Boulder, CO. The transmission is provided by the National Institute of Standards and Technology (NIST). The signal is an extremely accurate 60kHz carrier that is amplitude modulated with additional information such as a once per second tick and an encoded time.